But a petition spearheaded by a vegan campaign group in January sought to axe the scheme, and the school temporarily stopped rearing pigs for a short while to avoid vegan upset. The four pigs reared for meat were sent back to their original owner in January. 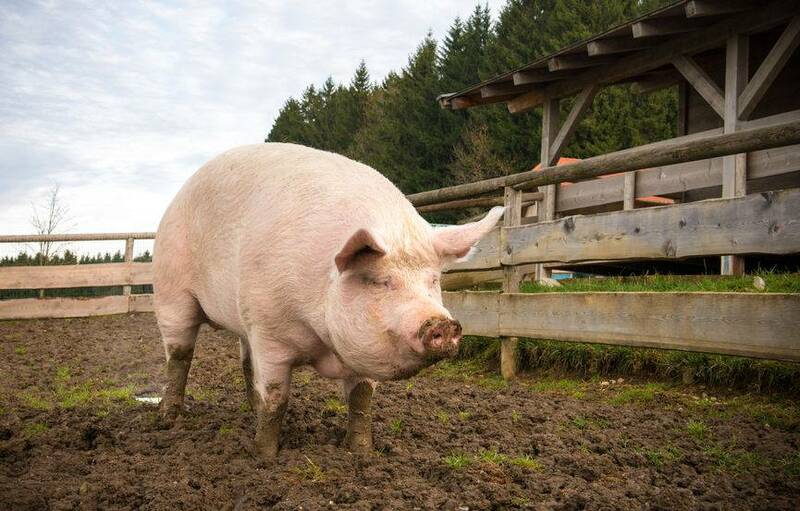 However, a survey completed by 1,000 parents revealed 97% were in favour of keeping the pigs on the school grounds to help education children on food education. The school has been teaching children farm-to-fork education since 2008 and has received "overwhelming support" from parents and children to continue it. In a statement the school said: "There is also an argument for us to include more coverage in the curriculum of alternative diets, and sustainability, including the recruitment of expert speakers. "We are currently exploring options in order to put a proposal to governors." In January, television presenter Piers Morgan clashed with vegan Vincent Cook who backed the petition to ban the school from rearing pigs for meat. Piers Morgan argued on ITV's Good Morning Britain: "The head teacher is explaining to children surely, that eating sausages and bacon comes from pigs, and that is the food chain most human beings operate on. "No one's forcing the will of the meat eaters onto you and your family, but you want to instill your views on everybody else."